Below you can view all the homes for sale in the Hunts Reserve subdivision located in Chapel Hill North Carolina. Listings in Hunts Reserve are updated daily from data we receive from the Raleigh multiple listing service. To learn more about any of these homes or to receive custom notifications when a new property is listed for sale in Hunts Reserve, give us a call at 919-759-5770. 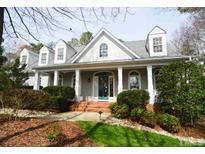 Master on main floor, new granite countertops, first floor hardwoods, new carpet, updated fixtures, tons of storage, professionally landscaped, walk-out daylight unfinished basement to private backyard paver patio, Chapel Hill Schools but low county taxes, 5 minutes to UNC, 5,000 combined sq feet. 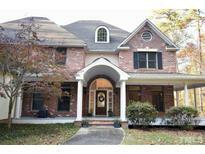 MLS#2244874. 48. Large parking pad provides easy turnaround & additional parking. Great location! Short sale MLS#2161800. 1127.